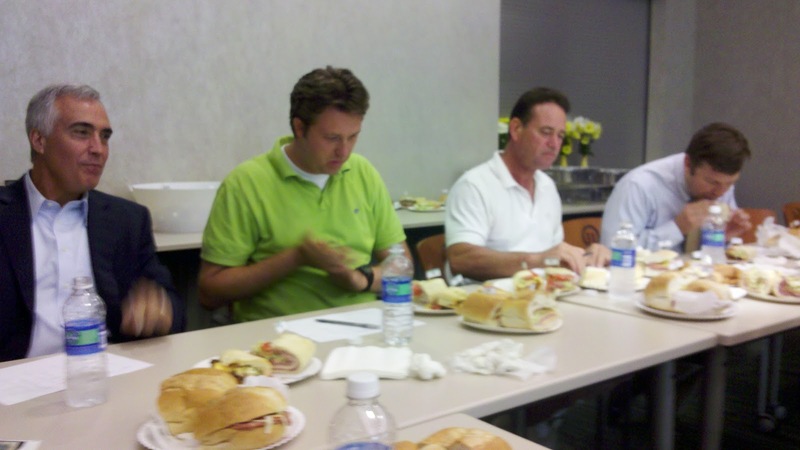 This afternoon, TasteBudA and I had the pleasure of judging the WPXI Pittsburgh’s Best Hoagies contest where 10 of Pittsburgh’s top hoagie restaurants were put in a head-to-head competition for the prestigious title of having Pittsburgh’s Best Hoagie. The competitors were chosen by online nomination and the top 10 were included in today’s final round of judging. Judges included media personalities WPXI anchor David Johnson and 96.1 KISS FM morning show hosts, Mikey and Big Bob. Special guest judges included Derrick Kosinski (from MTV reality shows), Frank Murgia from the Talent Network and The Pittsburgh TasteBuds. The competition was fierce and filling … and all 10 judges may have gas for a week, but it was worth it to participate in such a fun afternoon of taste testing. 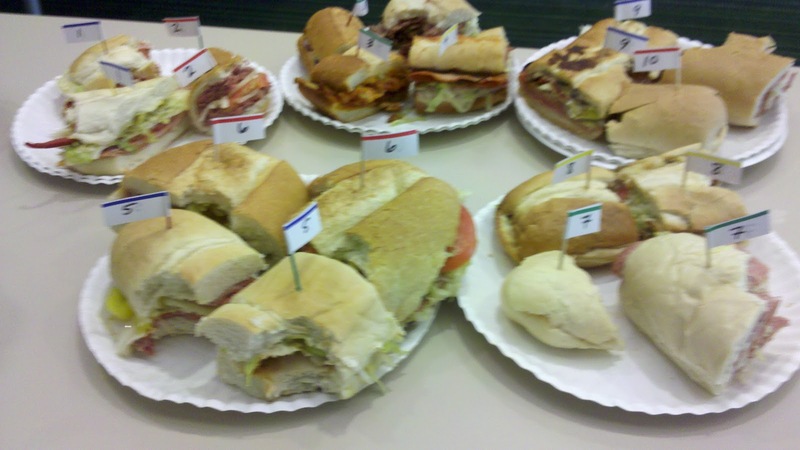 Each restaurant submitted two hoagies, one italian hoagies and one speciality hoagie. Each hoagie was given a maximum score of 10 points and the restaurants total score was made up of their hoagie’s composite score. Watch for us on tonight’s news broadcast on WPXI and stay tuned for some online video and commentary. Previous Subway Sub of the Month – Italian B.M.T.